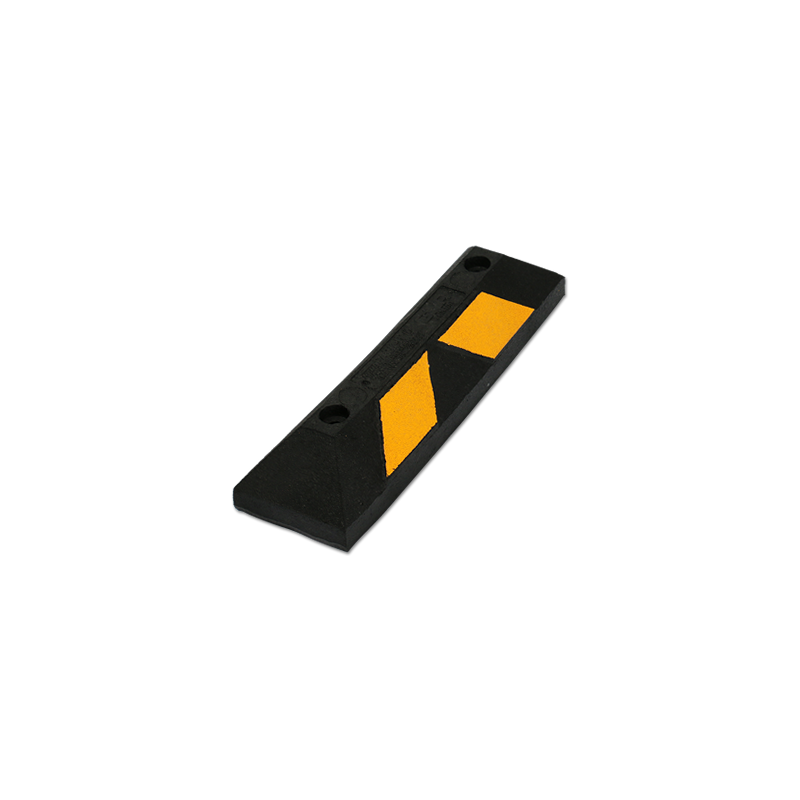 Parking Wheel Stop, 4 in. x 22 in. 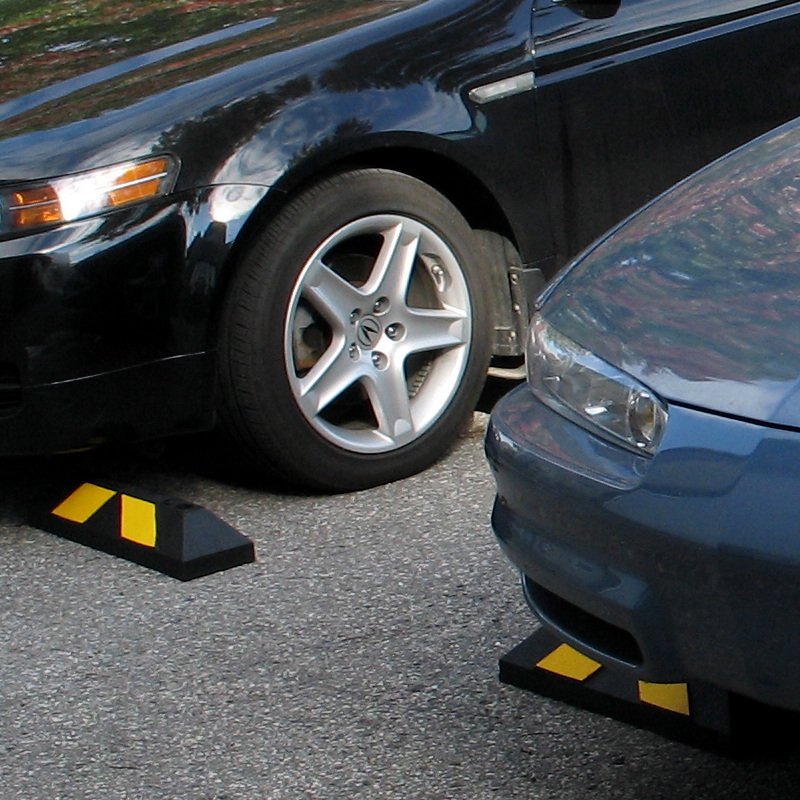 Home Parking Wheel Stops are a great tool for residential parking. 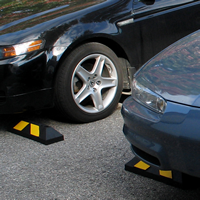 Install two wheel stops in your garage or driveway to keep the front of your vehicle safe from damage. • Made from 100% recycled rubber. Rubber conforms to any uneven driveway or garage floor. • Wheel stop is molded with highway reflective tape to increase visibility in a dark garage or while parking at night. • Rubber is a durable wheel stop material that will last years. Perfect for indoor and outdoor parking. • While hardware is not necessary for in home use, wheel stops feature installation holes on top of the product. 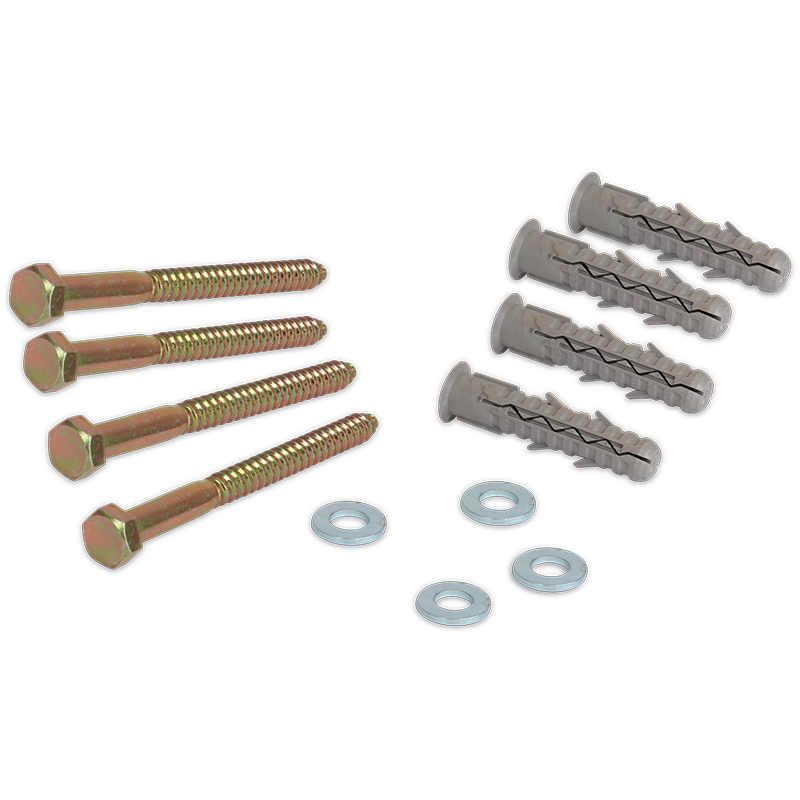 For a permanent installation you can use lag bolts for concrete or rebar spikes for asphalt. Hardware kits can install up to two Home Wheel Stops. Hardware is not included. • The Home Parking Wheel Stop isn't just for residential use. 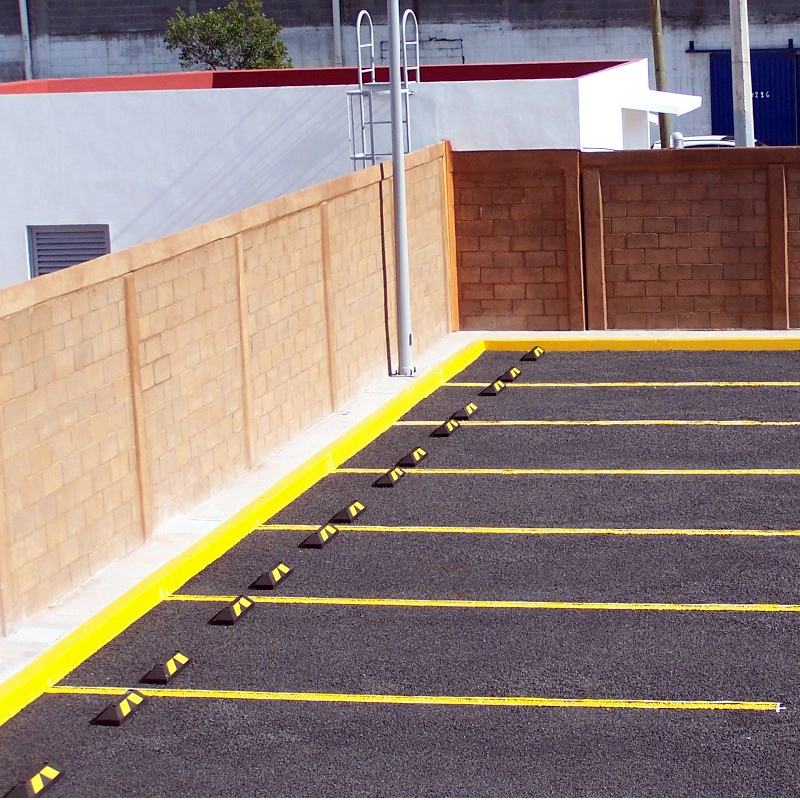 Install up to two stops for every parking spot in your lot, garage, or warehouse. A more economical option than installing 6' stops. • Made from 100% recycled rubber car and truck tires. A mix of natural rubber and styrene-butadiene rubber is compression molded to form a durable, long-lasting alternative to traditional concrete or plastic stops. 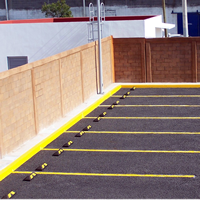 • Rubber conforms to asphalt, concrete or uneven road surfaces. The lightweight, flexible rubber is less damaging to vehicles upon impact. • Reflective highway tape is molded into the rubber and provides high visibility at night. 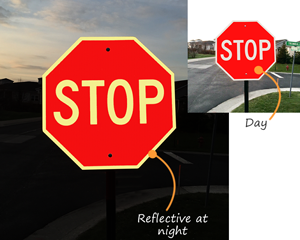 Reflectivity increases safety for both drivers and pedestrians. • Resistant to extreme temperature variations, UV light, oils, moisture, road salt and damage. 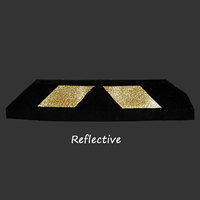 Stops are covered by a 3 year warranty on the product and 1 year warranty on the reflective tape (under normal use). • All-weather design provides easy maintenance. 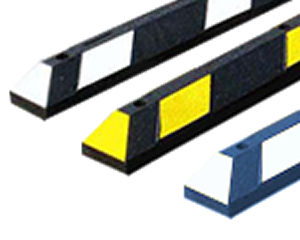 Rubber Wheel Stops will not rust, chip, crack, crumble, corrode or need repainting. • Includes pre-drilled holes for easy installation. 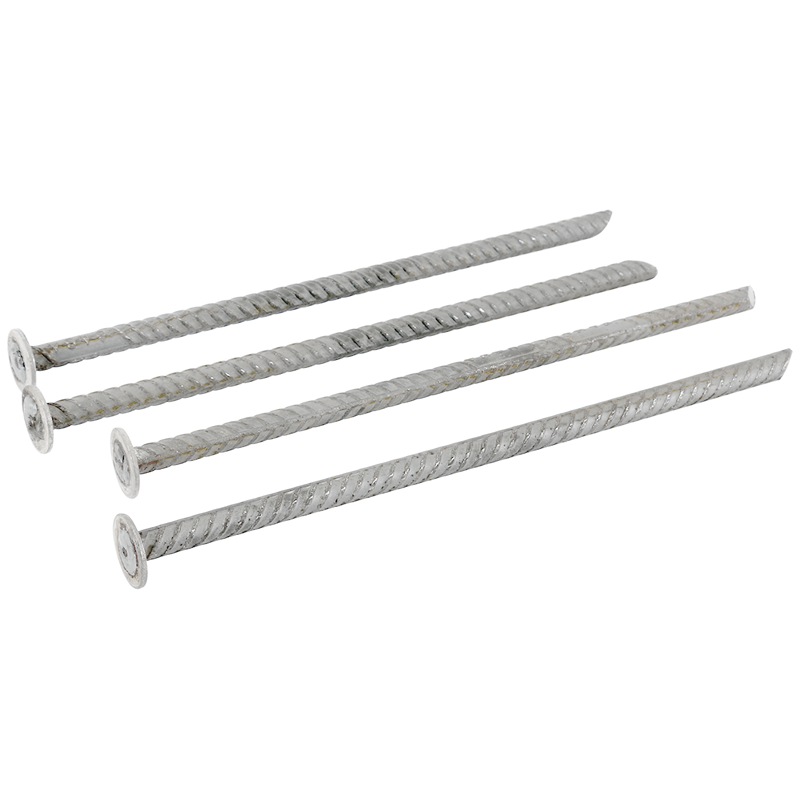 Use rebar spikes to install on asphalt surfaces and lag bolts and shields for concrete surfaces. Holes are 5/8" in diameter. • The 6ft model weighs 34 lbs and the 22" home model weighs 9 lbs. This product can expose you to chemicals including Arsenic, Cobalt, Cadmium, Lead, Chromium, Nickel Compounds, which is known to the State of California to cause cancer and birth defects or other reproductive harm. For more information go to www.P65Warnings.ca.gov. These stops are so easy to pace, relocate and trust. Haven't installed yet but I like the looks of these and their a great alternative to cement. These are exactly as described. Just what we needed. I got this as a Christmas gift for my husband who had been using a stick as a wheel stop for his Corvette. He was totally unable to guess what this gift was in the package, but very surprised and happy when he saw it. He immediately put it out in the garage and tested it out. Perfect! Just right for what we needed for where to stop his "bucket list" car. Thanks for a quality product and very good service.